Last week the New York Times broke news of a top secret lab where secret Googlers are tinkering on more than 100 fantasy projects that may or may not ever come to market. It’s called Google X Lab and it’s filled with robots, self-driving cars (those are definitely real) and real-world devices not traditionally connected to the Internet that will be wired-up into a future Web of Things. What if Google doesn’t get connected devices any better than the company allegedly “doesn’t get social” technologies, though? Just because the advertising and search giant is working on it doesn’t mean Google can really build an elevator to space, of course. In the mean time, other companies are building connected device technology that sounds futuristic but is actually going to market right now. Those companies may compete with Google in the future; just as Google didn’t invent the search market it now owns, incumbents can’t rest easy yet just because they’re first, either. But what they’re bringing to market already is pretty cool. This is an excellent opportunity with a defined market potential and its success will be aimed to commercialise the research in accordance with intellectual property roles given by the project. The engineer will interact with a number of engineer and scientists to develop algorithms of data mining, energy pattenrs and anomaly detection to be delivered through an online platform for commercial use. The engineer may need to gain knowledge on issues faced by facility and maintenance managers when reducing energy consumption in buildings. The MIT Media Lab Human Dynamics research group has been harnessing the power of smartphone sensors in collecting data about how people interact with each other. The data are used to draw conclusions on how certain aspects of humanity, such as food choices and political opinions, are spread throughout a certain locality. The study has been in the laboratory for several years until recently when the group decided to make it open-source. This was done in hopes of awakening interests from researchers besides themselves. 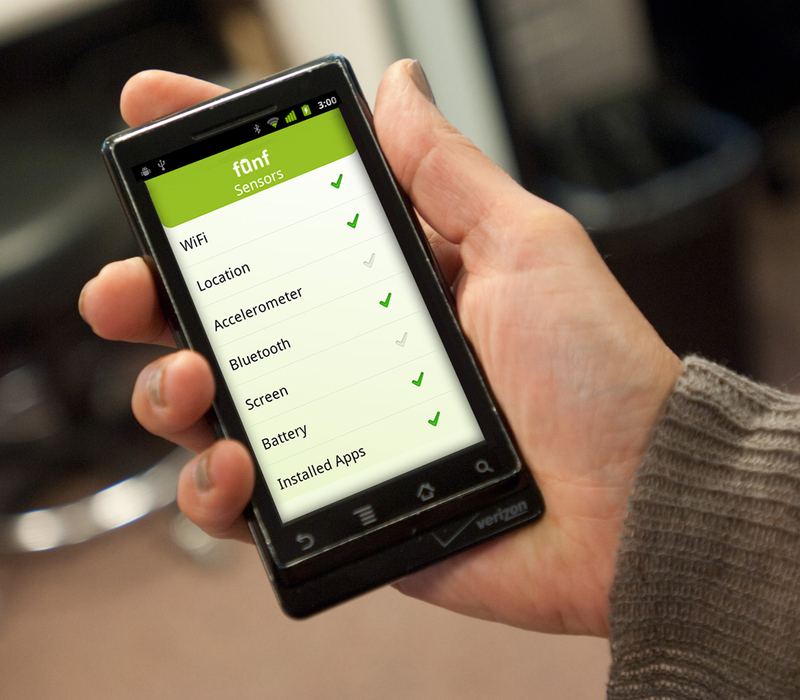 The Funf system, as it is known, is a phone-based data collection system that utilizes the sensors on smartphones such as gyroscopes and accelerometers. It is composed of two parts: the Funf Journal and a set of tools. The journal manages the collection and exportation of sensor data and runs on phones that use Google’s Android OS. The tools, which are housed inside a PC, are used for managing and visualizing the data coming from the phone. Users of the Funf Journal have the option to specify how often the system captures and analyzes data through checkbox menus. Previous sensors settings and configurations can also be saved and loaded at any time. Broadcast updates to participants in a study are also possible if the user allows it. Together with Aharony are graduate student Wei Pan, Human Dynamics group leader Sandy Pentland, the Toshiba Professor of Media Arts and Sciences, MIT affiliate Cory Ip SM ’11, Masdar Institute scholar Inas Khayal, Cody Sumter, a master’s student, and Alan Gardner ’05, a software developer whose participation in the project was funded by a grant from Google. These researchers have turned the system into a user-friendly software package that was officially released last October 5. The controller for each sensor in the Funf framework is called a “probe”. Interpreting the raw data coming from the phones sensors can be a daunting task even for experts. This is why the Funf Journal comes with additional probes that are made to look for patterns on the data. One of the probes, for example, can distinguish the data coming from a phone accelerometer that is jostled on a subway train to a phone that is carried by a person walking briskly or climbing stairs. Thus, the system can provide a specific score for the person’s physical activity on a specified span of time. Each of the additional probes is configurable via the same menu that manages the sensors themselves. The Funf Journal comes already with 30 probes built inside it but the developers at MIT are challenging others to build more. They suggest creating additional high-level and low-level probes that can use the data generated by other probes and so on. Non-technical users could also publish settings that they have found useful in specific tasks. Aharony envisions a free marketplace of Funf configurations and probes in the future. Funf Journal comes with roughly 30 probes built in. But the Media Lab team is eager for developers outside MIT to invent additional high-level probes, and probes that use the data generated by those probes, and so on. Less tech-savvy users could still publish configuration settings that they’ve found useful for particular tasks. “You can imagine a free marketplace of these configurations and also of these probes,” Aharony says. The Media Lab team willingly provides APIs for interested developers which would allow them to add probes or other Funf features into their own programs without explicitly using the Funf Journal system. At the Energy Harvesting & Wireless Sensor Network (WSN) awards dinner on November 15 in Boston, USA companies were recognized for making significant technical or commercial progress with these technologies. The awards are part of the IDTechEx event on these topics – which was attended by over 360 people from 16 countries and featured 40 exhibitors on Nov 15 and 16 201. If you’re the kind of person that sometimes finds themselves talking to inanimate objects around the house then it might not be too long before they start talking back – not directly but via an SMS, tweet or email. MIT Media Lab graduates David Carr and John Kestner are looking to hook household objects up to the Web via Twine, a 2.5-inch square (16 cm2) box with internal and/or external sensors that connects to a Wi-Fi network to enable it to send a message when certain user customizable criteria are recognized by the unit’s sensors. In 1982, a group of students at Carnegie Mellon University connected a Coke machine to the internet so they wouldn’t have to traipse down several floors just to find the machine empty. While the number of devices connected to the internet has exploded since that time, the majority of household appliances and objects have been slow to make the move online. Despite talk of the emerging “Internet of Things” connecting anything other than a computer, games console, tablet or smartphone to the internet via a home network generally still requires some specialized knowledge. It is this hurdle that Carr and Kestner are aiming to clear with Twine, which they say will make it easy to connect things to the internet “without a nerd degree” – meaning there’s no programming or soldering and wiring expertise required. 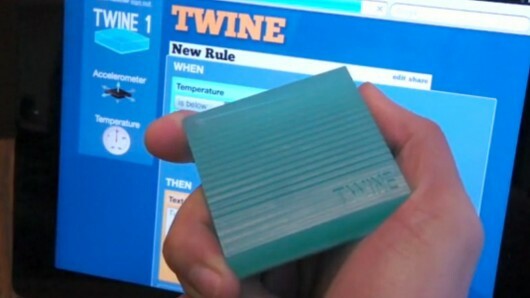 The Twine module provides Wi-Fi connectivity out of the box and comes with on-board temperature and vibration sensors. Power is supplied either via the unit’s mini-USB port or by two AAA batteries, with an email alert being sent when the batteries need replacing. The Industrial Internet, also known as the “Internet of Things,” promises to connect the trillions of machines to make them more efficient, reliable and useful. But it’s hard to grasp the concept without seeing it in action. 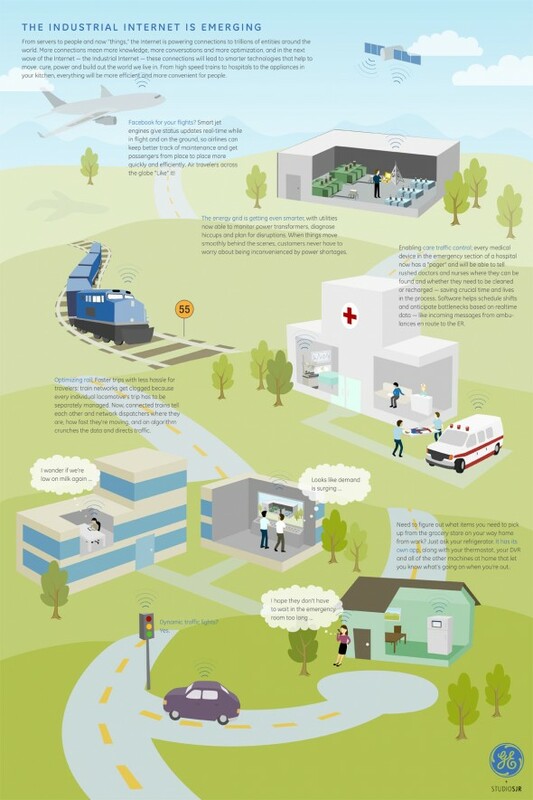 This infographic from General Electric, which announced on Thursday that it is building a new software center in California, shows what the Industrial Internet will do for us. He is officially called the “Messaging Community Lead” for IBM’s WebSphere message queue (MQ) architecture, which is a title that grants some modicum of honor without claiming too much authority. Andy Piper has become IBM’s point man for the concept of a planet enmeshed in billions, perhaps trillions, of signal-sending, communicating devices. The case may be made that anything that can be “on” could be made to send a signal on a network – perhaps something as simple as “on” itself, periodically. The possibilities for a world where the operating status of any electronic device may be measured from any point on the globe, are astounding. How do we ensure such a world doesn’t become infinitely more chaotic than it already is? Have the architects of MQTT protocol considered whether it would be feasible to apply today’s malicious use models for Web technologies to an Internet of Things? What, if anything, is being done to safeguard against a plethora of “thing-in-the-middle” attacks, where for instance, devices that are not shipping crates full of valuable merchandise identify themselves as such? ReadWriteWeb discussed these broader topics at length with IBM’s Andy Piper. Two weeks ago, IBM and its development partner Eurotech formally submitted Message Queue Telemetry Transport protocol to the Eclipse Foundation open source group. It’s being called “the” Internet of Things (IoT) protocol, but in fairness it’s only one candidate. It would serve as the communications mechanism for devices whose size may scale down to the very small level, with negligible power and transmission radius of only a few feet. One example application already in the field, Piper told RWW, is in pacemakers. Tiny transmitters inside pacemakers communicate using MQTT with message queue brokers at their patients’ bedsides. Those brokers then communicate with upstream servers using more conventional, sophisticated protocols such as WebSphere MQ. Most protocols submitted by corporations to organizations for adoption as universal standards have some direct tie-in to those corporations, and MQTT is no exception. Although the APIs for anyone to incorporate MQTT into their own MQs are already published, WebSphere MQ has an early advantage. This leads to what distinguishes the interconnection protocol for MQTT from HTTP and the Web as we’ve come to understand it. HTTP is end-to-end; all endpoints are addressable there on a universal map. MQTT, by stark contrast, is only at the outer shell. It communicates with so-calledbrokers using a wire protocol – literally a pattern of bits, as opposed to a componentized packet with a header and a container. Those brokers then communicate upstream using today’s protocols, HTTP among them.